Monitor fleet safety with Fleetio. Ensuring safety is one of the largest challenges in fleet management. 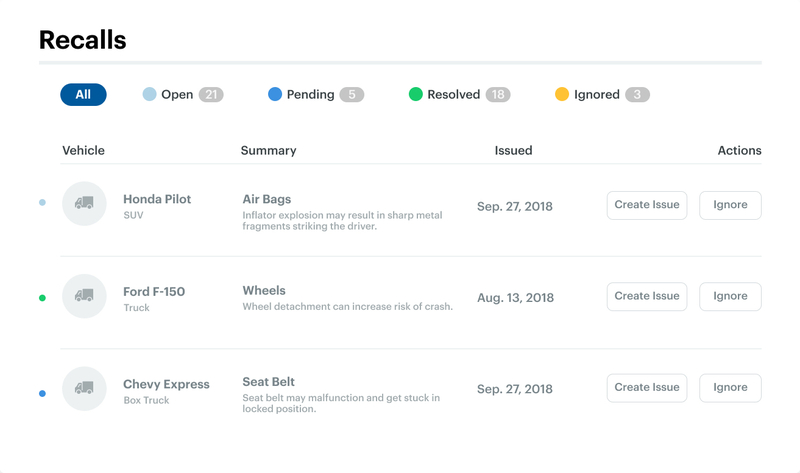 Be alerted to safety recalls automatically, maintain inspections compliance and ensure issues are addressed immediately with Fleetio's mobile app and web-based fleet maintenance software. Maintain a pulse on the safety of your fleet by ensuring failed inspection items are immediately resolved, preventative maintenance schedules are followed, and safety recalls are addressed. Ensure vehicles are up to compliance standards to avoid fines and potential accident costs. Keep your most valuable assets safe - drivers and vehicles. 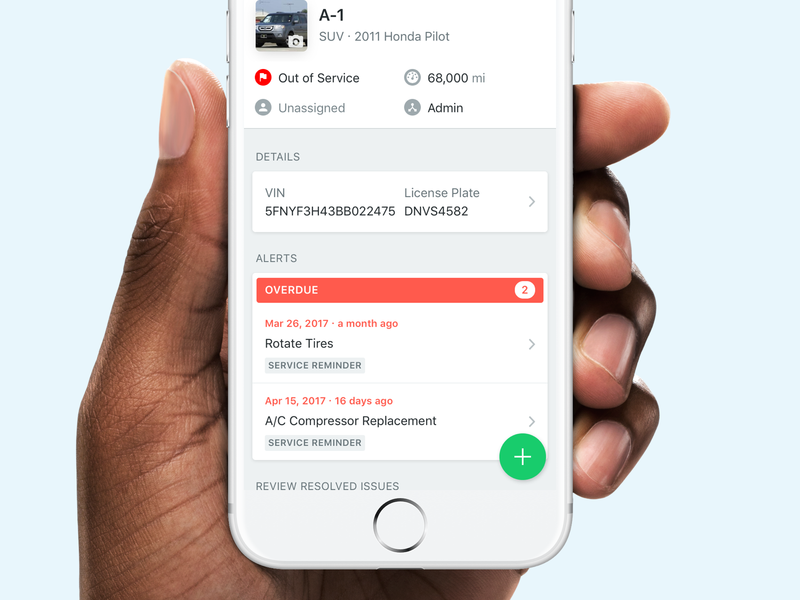 Gain peace of mind with an airtight inspection process, an organized preventative maintenance schedule, and daily notifications of new safety recalls. 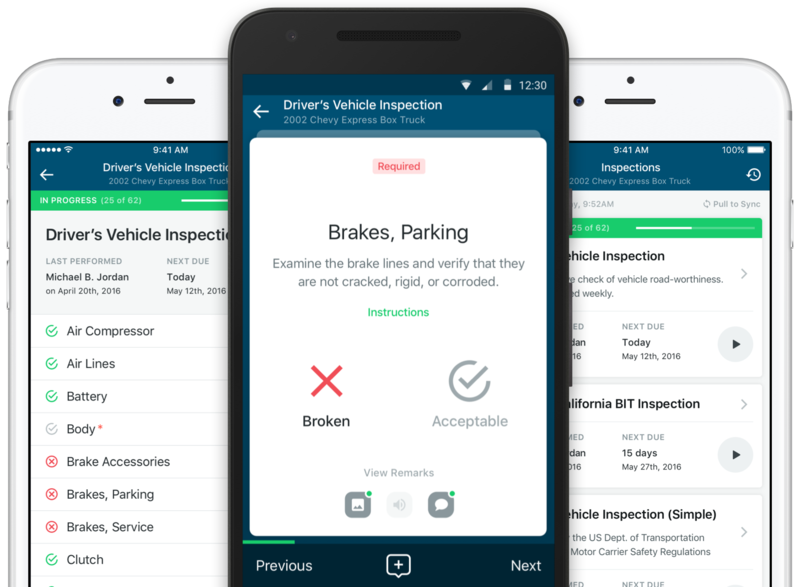 Relieve drivers from the burden of paper forms and improve inspection quality, all from an existing smartphone or tablet with Fleetio Manage. 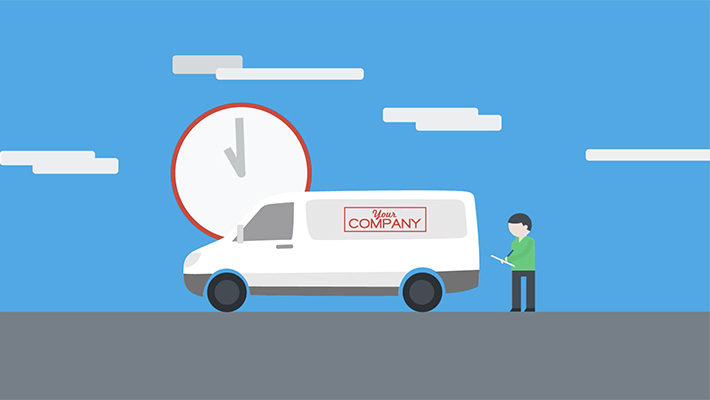 Report vehicle issues on the spot, respond to them quickly and record every detail. 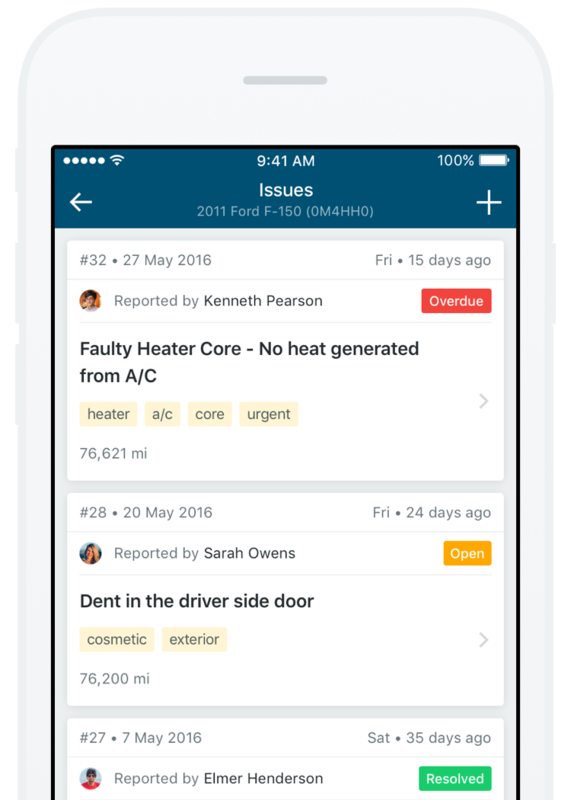 Report defects remotely with Fleetio Go, our fleet management mobile app. Receive daily email alerts for active recalls for your vehicle types and remedy safety issues quickly. Stay on top of PM tasks with easy scheduling and predictive service reminders. 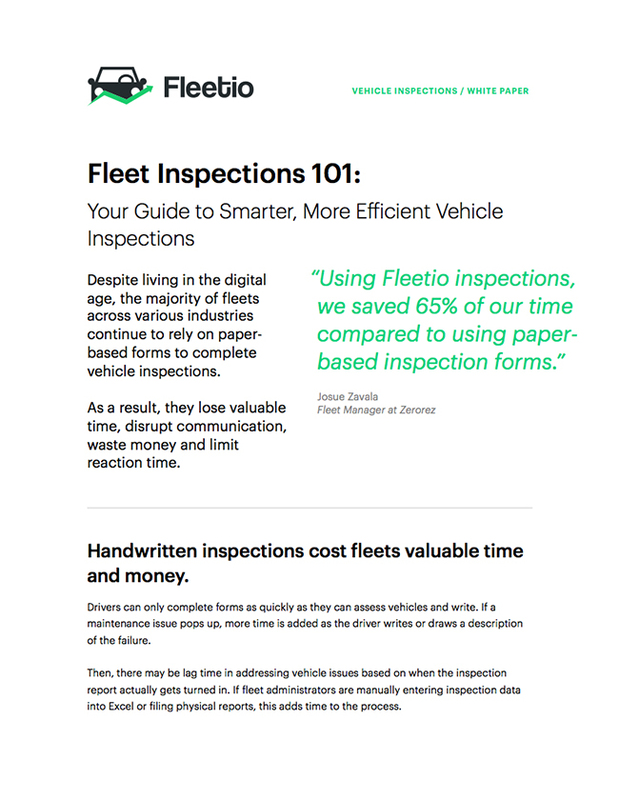 Learn how to establish better inspection processes and use electronic inspection tools like fleet maintenance software to save substantial time and money. 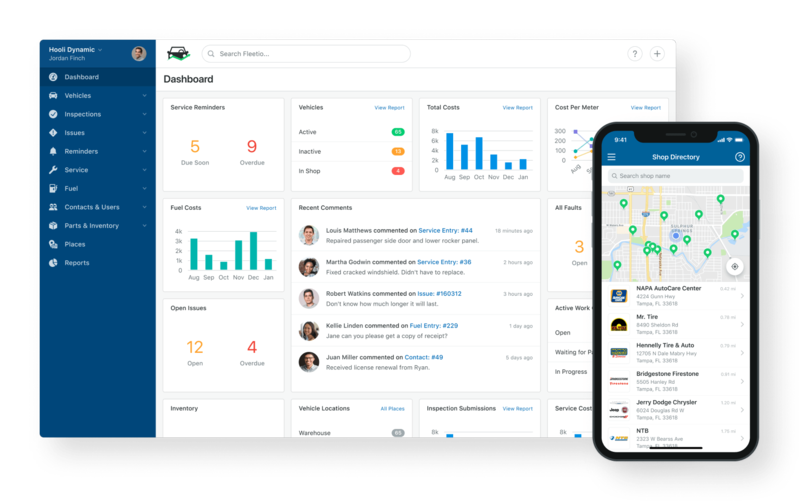 Control the chaos of fleet operations with Fleetio Manage, the all-in-one fleet management software for fleets of all sizes.